Prospective authors are invited to submit original technical papers for publication in the SoftCOM 2015 Conference Proceedings. Manuscript should be regularly 5 pages. Papers that are not prepared according to the guidelines cannot be published! 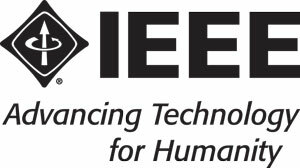 Published SoftCOM'15 papers will be included in IEEE Xplore and must adhere to the IEEE Xplore PDF specification for compatibility. 2) Create your camera ready manuscript(s). Please note that list of authors must be same in the paper and EDAS! 4) Papers accepted within the Technical program require manuscript PDF IEEE Xplore® compatibility check (see instructions). Papers accepted within the Professional program do not require PDF compatibility check. 5) Forward the confirmation mail received from the IEEE PDF eXpress™ tool to (softcom@fesb.hr). 6) All the papers selected for publication in SoftCOM 2015 proceedings must be accompanied by the filled and signed copyright form (pdf, doc). For a paper to be published in the Proceedings this form must be signed by at least the leading author.